Circe’s vision embraces a commitment to energy efficiency based on the assessment of energy resources for generation transportation and distribution as well as the rational use of energy. The key words at Circe are: energy eco-efficiency and sustainability. ConWx supply trading houses utilities and offshore companies with forecast and analysis services. ConWx's main service areas are energy wind and metocean forecasting and hindcasting. Installation of advanced in-house forecasting systems is a part of our services. The Centre for Renewable Energy Sources and Saving is the Greek national centre for renewable energy sources rational use of energy and energy saving. CRES Wind Energy Department a member of EWEA EAWE IEA MEASNET and EERA is internationally active in the fields of research and development consultancy and provision of accredited testing services. EMD International A/S is a software and know-how centre supplying companies and institutions worldwide with software and know-how within the fields of project design planning and documentation of environmentally friendly energy projects. The commercial software WindPRO includes more than 23 years of experience and is recognized and accepted worldwide. ESTIA consulting & engineering S.A.
ESTIA offers the complete range of services required to deliver an operating wind farm from wind measurements and consulting up to project O&M. The technical expertise is now extended to offshore wind measurements offering the innovative seaLIDAR™ offshore wind measurement platform featuring both a wind mast and LIDAR. Following a 90-year research tradition FGH group provides highly skilled services in electrical power engineering. Services include e.g. studies and consultancy for power systems and grid connection as well as engineering for mobile FRT test systems. Furthermore FGH certification provides grid code compliance certification for wind turbines and wind farms. Greenbyte makes the industry leading independent renewable energy management system Energy Cloud – used globally by wind and solar PV owners, operators and asset managers to capture the full potential of renewable energy projects. Power plants are remotely connected to Greenbyte’s platform via on-site SCADA systems – resulting in a single powerful tool to monitor, analyze, plan and control diverse renewable energy portfolios of any size. Currently 14 GW of renewable energy across 5 continents and 35 countries are monitored in Greenbyte’s software. INEGI is a non-profit autonomous organisation for innovation and technology transfer with the statute of public utility created by the University of Porto Engineering Faculty (FEUP) in 1986. It is widely active in research and consultancy in the field of wind energy in all stages of its value chain. World leader in Lidar atmospheric remote sensors Leosphere offers the Windcube™ Lidar system. 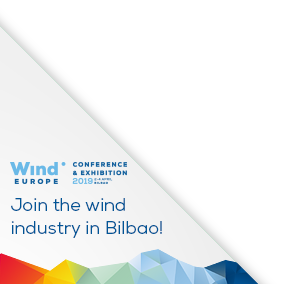 Matching the wind industry standard requirements (0.1 m/s data accuracy multiple heights) as well as being bankable portable and easy to use the Windcube™ offers a wide range of applications including site assessment micro siting and windfarm performances. MEGAJOULE is an independent wind and solar energy engineering and consultancy. Specialised in wind and solar resource assessment, MEGAJOULE offers a broad range of services, from resource and power curve measurements, owner's and lender's engineering, technical due diligence and analysis of operating wind farms. MEGAJOULE has a worldwide team of experts and a local network of partners, with offices or representation in Portugal, Croatia, Brazil, Turkey, Argentina, India and Indonesia. Metek GmbH manufactures and delivers worldwide modern meteorological measuring systems and sensors ideally fitting to specific needs of wind energy: Lidar Wind Sensor Wind Scout for fast and accurate remote wind measurement, (heated) sonics for wind and turbulence measurements and SODAR/RASS for wind/temperature profiling. Metek also offers Halo Photonics Doppler Lidar system Stream Line, complete weather stations and renting of measuring systems. Meventus is an international company with offices in Norway and Denmark specialising in wind measurement wind and site and asset management services. Our field of expertise is in complex terrain and we are delivering services throughout Europe. Meventus offers leasing of wind measurement masts LIDARs and power supply solutions. We are NRG Systems. We revolutionized the way wind resource assessment was done over 35 years ago. Today, this heritage of innovation informs everything we do. We are dedicated to designing and manufacturing smart technologies for a more sustainable planet –that means more renewable energy, cleaner air, and a safer environment for all. Our customer-centric products are renowned for their simplicity and unrivaled ease of use. Our measurement systems, turbine control sensors, and Lidar remote sensors can be found more than 170 countries. For more information, please visit nrgsystems.com. Sereema delivers its digital & IoT expertise to boost your wind farm performance, detect optimization opportunities on your wind turbines and help you make money and save time.